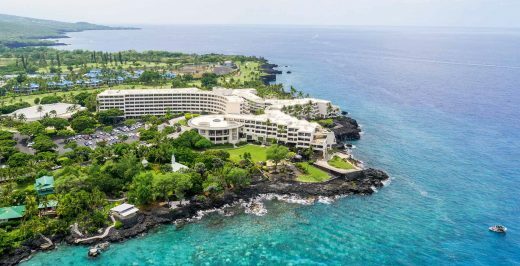 The resort, situated on the iconic lava rocks of the Kona coast overlooking historically significant Keauhou Bay, is a blend of adventure, culture, heritage and authentic Hawaiian hospitality. 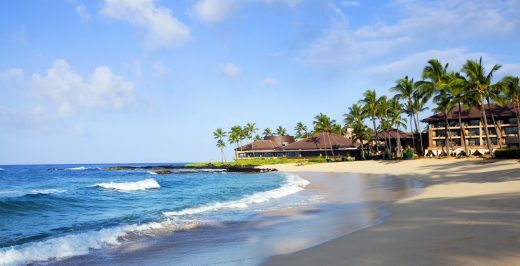 “Nowhere else in Hawaii will couples find the diverse location options that are available to them within Sheraton Kona Resort & Spa’s 22 oceanfront acres,” said the resort’s director of catering and events Florence Sanchez. Nestled in a lush garden landscaped with tropical greenery, the Bay View Wedding Chapel is the only resort chapel on the Kona coast. The chapel seats up to 50 guests. Plantation doors along both sides of the chapel open to the Bay View Gardens to welcome cooling tropical breezes. 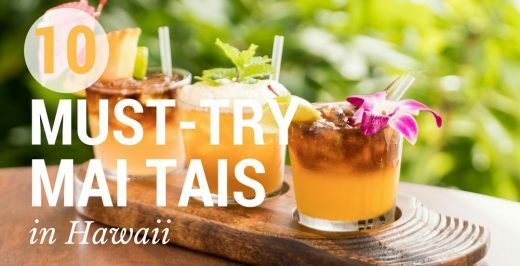 It is just steps from the tranquil and scenic Keauhou Bay and boasts views of stunning lava cliffs juxtaposed against an ocean backdrop. Atop the cliffs are pockets of soft white sand where barefoot I Do’s are punctuated by crimson Pacific sunsets on the distant horizon. Long known as a gathering place for the famous Keauhou manta rays, couples and their guests can board a vessel from nearby Keauhou Bay for the five minute boat ride to the spot fronting the resort’s Rays on the Bay restaurant where manta rays gather most evenings to feed on plankton. Diving below with certified diver, videographer and wedding officiant James L. Wing, couples can signal their vows for the most memorable of ceremonies with manta rays as special guests. Wedding packages at Sheraton Kona Resort & Spa begin at just $2400 and always include the personal services of a wedding specialist to coordinate on-site arrangements, including the addition of thoughtful Hawaiian cultural elements to enhance the occasion and sense of place. “Marry with the Manta” prices vary based on number of guests and whether the couple opts for chartered or shared vessel. 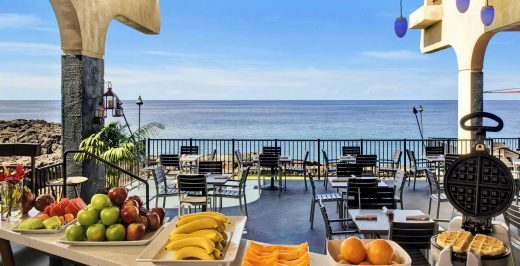 Regardless of the location, every moment at Sheraton Kona Resort & Spa at Keauhou Bay is highly customizable for dream destination weddings and memorable stays for couples and their guests.